As you enjoy the holiday, please keep in mind the importance of keeping sugar away from babies. A recent article in the Wall Street Journal examined how much sugar Americans are consuming. “Sugar Math for Halloween” states that on a daily basis we consume more than twice the amount of added sugar than is recommended. In the article, author Bonnie Rochman explains why children love candy and develop a strong craving for it. She writes that taste buds in children are more clustered than in adults. Although they have the same number of taste buds, the size of the tongue is much smaller and therefore pushes them closer together. This makes flavors more intense. This is also why children do not like bitter foods, she adds. 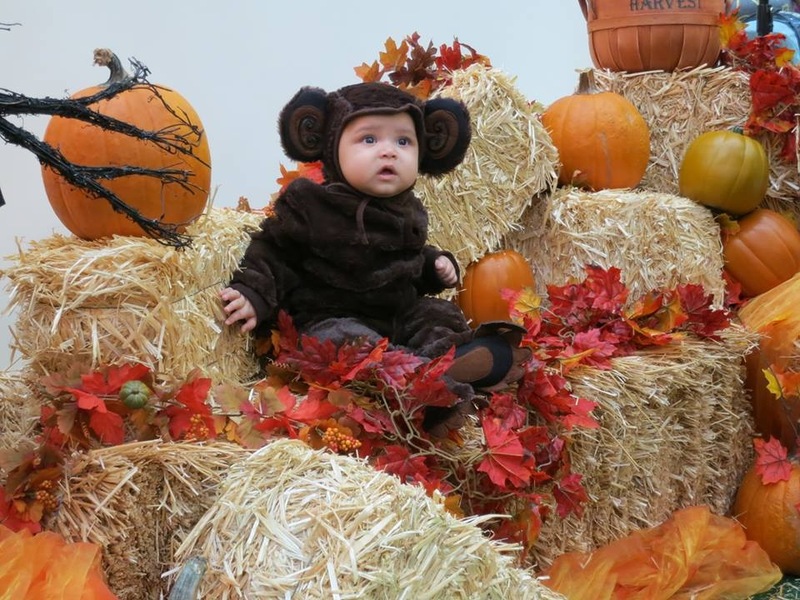 Develop habits with baby that develop a sugar-free Halloween tradition. Some parents are learning tricks to limit treats as education increases parents’ knowledge of the harmful effects of sugar. Consumption of sugar contributes to baby cavities, obesity, and other harmful health conditions. As baby grows up, try some clever ideas to reduce the sugar consumption while enjoying the spirit of the holiday. One parent of a toddler and teenager shares her tip for an almost sugar-free Halloween with WSJ. She invokes what she calls the Great Pumpkin. Her children are allowed to choose a handful of candy to eat while leaving the rest next to their pumpkins before going to sleep on Halloween night. The next morning they discover the Great Pumpkin took their candy and placed a gift in their pumpkin instead. At the University of Pittsburg Medical Center (UPMC) in Pittsburg, Pennsylvania, babies receive a very warm entry into the world. Dr. Carey Andrew-Jaja, MD, FACOG, welcomes babies into the world through song as he delivers them. “Happy Birthday to you!” rings through the delivery room lead by Dr. Carey-Andrew’s powerful baritone voice, communicating much warmth and security to the newborn baby. The above video from UPMC’s youtube channel shows him in action. Although the baby is not able to sing yet, the singing engages his attention and he feels what is communicated through the voice. Singing is a wonderful way to engage with your newborn baby. Dr. Carey-Andrew’s practice of singing to the newborn baby immediately following birth in the delivery room and during his visits to mother and baby in the hospital room were inspired by a colleague. An older OB-GYN on staff at UPMC had a habit of singing to the babies and one day as he was nearing retirement he asked Dr. Carey-Andrew if he sang to the babies. He said, “They love it!” That was the moment the baton was passed to him to sing to the babies he delivers. And he has delivered thousands of babies, welcoming each one into the world through song. Dr. Carey states that he thinks “I am singing to a future important person” and “it is a beautiful world we live in.” He describes this as a moment where he forgets about all of the tragedies in the world around us and focus on the beautiful moment occurring in his presence. Maybe singing lessons can be added to the roster of OB-GYN courses required in medical school? How do babies learn to talk? One way is through hearing songs. When a baby hears a song frequently she becomes familiar with patterns such as word groupings. When the pattern repeats within the song and then the song repeats, baby has the chance to learn pieces of the song. As infants near their first birthday they are learning to sing a few words to their favorite song. “Twinkle twinkle little star” is one of the favorites. As baby nears the age of two she is beginning to learn the alphabet through the “ABC Song.” Sometimes parents have songs they love and they introduce them to baby as well. In the a video from HoundDogBillie’s youtube channel, watch 21 month old Ella Mae sings “An American Trilogy” by Elvis Presley. Elvis’ music is not typical song material sung to babies, but this song’s slow melody makes it easy for baby to follow and with repetition it is a wonderful learning experience. Listening to a tune frequently teaches baby to hear the accented musical moments in the song. Babies and toddlers try and join in to their favorite moments such as a musical crescendo through the movements of their body forward and backward or the movements of their arm in time with the music. In the above video, Ella”conducts” a crashing musical moment with her arm moving up and down perfectly timed with the music. She also joins in with other accented moments with her head moving forward and backward or side to side in perfect time. The first musical instrument baby learns to play is her own body through the use of her voice and the accompaniment of her head, torso or arms to the music. Later she will learn to play actual instruments as extensions of her limbs, such as the triangle, tambourine, xylophone, or piano. One of my favorite tips for parents is to sing to baby in the car and sing the same songs so she can learn them and try to join in. This video is a beautiful example of what can develop over time with that kind of patience and persistence. You may get bored with the song, but not your baby who is learning speech. The repetition brings her much joy when she can join in on some of the fun that she is hearing. Many parents have found that baby stops fussing in the car when they begin singing. Songs are also a way that baby can continue to engage with you when you are driving and she is stuck facing away from you in her carseat. She can focus on what she is hearing as well as continue her connection with you. Parents often ask me what to do when their baby cries in the car. It is quite unbearable to hear baby wailing in the backseat while one is sitting in the front behind the wheel. Baby is also facing the back of the car so she can not see her mother or father. I encourage parents to sing while driving in the car in order to maintain the connection with baby (always keeping your eyes on the road, of course). Old McDonald Had a Farm is a favorite for driving in the car because you can keep naming different animals to make the song longer: cow, pig, sheep, chicken, horse, dog, cat, etc. 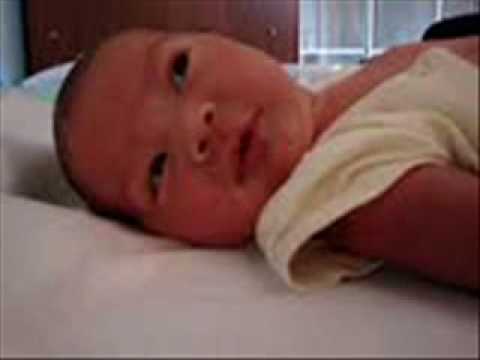 Babies also enjoy hearing the sounds the animals make such as “Oink, Oink,” or “Bow-Wow.” For a reminder of the tune, listen to the children sing “Old McDonald Had a Farm” in the above video from lothdur’s youtube channel. With frequent repetition of the song baby will become familiar with it and may try and sing along in her babytalk. Babies learn to talk by watching you talk and sing. Singing is very important because it groups words together in the same way each time she hears them. This makes them familiar and easier for her to learn to repeat. Before repeating words, baby must learn to repeat sounds. Old McDonald Had A Farm is an excellent to teach baby the “O” sound. When you sing the song, exaggerate the “O” sound by making a large “O” shape with you mouth and by increasing the volume of the sound. You can emphasize the “O” sound in “Old McDonald” and in “E-I-E-I-O.” This helps baby to see how you make the “O” sound as well as hear it as a distinct sound on its own. One day she will surprise you and sing along with “Blah, blah blah blah O, blah blah O, blah blah O.” This is the beginning of speech development. HAPPY FATHER’S DAY FROM STELLAR CATERPILLAR ! We wish to take a moment and share a couple music videos of songs written by artists to celebrate the special relationship between a father and child. First, Brazilian musician Caetano Veloso sings “How Beautiful Can a Being Be.” The entire song is comprised only of this single line of text. The story of the origin of this song varies from Caetano writing it for his newborn son or his son writing it as a gift to him when he was older. Either way it is quite sentimental and endearing. Watch the video below from fpiana77′s youtube channel. The second video, “Danny’s Song,” is a song written by the American musician Kenny Loggins for his brother upon the birth of a son. This song was written in 1973 and a version of the song was made famous by Anne Murray. The video below is from Trueromance100′s you tube channel and contains the lyrics for you to read. In the development of a baby, the feet are one of the fastest growing and parts of the body. Baby will outgrow socks and shoes faster than any article of clothing. Choosing proper foot coverings for baby’s feet is crucial since the feet are actively part of motor skill development. Obviously, they are used for learning the motor skill of walking. They are also part of the motor skill of crawling since they assist in propelling the body forward. They coordinate with the hands in the motor skills of grasping and reaching as the baby demonstrates in the above video from 12stringssteel’s youtube channel This baby has discovered his feet and how interesting they are to touch. There are the short and stubby toes that wiggle and the smooth soles, very different tactile experiences. The developmental stage where baby plays with his toes and feet is an important one. Notice how toward the end of the video he takes his left hand to the right foot. This diagonal connection is a very important milestone. The only reason baby’s feet need to be covered during the pre-walking stages of infant development is for warmth. Baby’s feet can be kept warm with socks or a blanket, shoes are not necessary. Since the feet grow in size quite a bit during the first year, it is best not to cover baby’s feet in a way that constrains the length or width of the foot. Keep the socks fitting loosely. It is important not to stuff the feet into a pair of socks like putting sausages in a casing. Sometimes socks will shrink in the wash. In this situation the socks changed size rather than the feet but it is the same problem for baby of not enough wiggle room for the toes and uncomfortable pressure on the sides of the feet. It is important for baby to be comfortable. Remember, barefoot is best for baby!